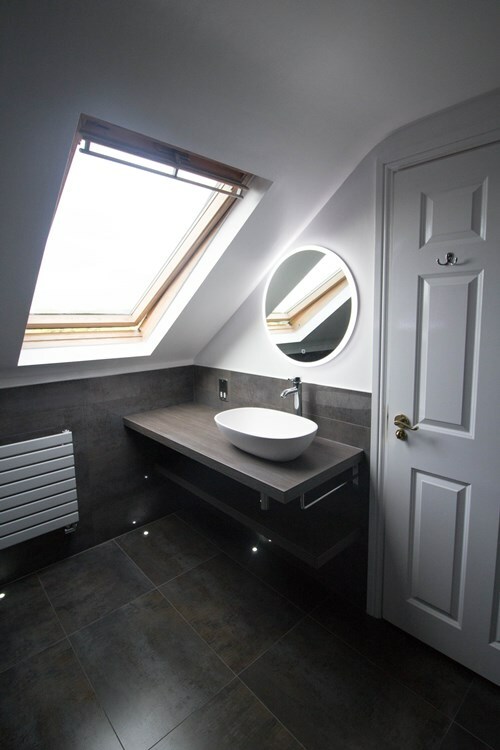 Due to leaks the loft ensuite un operational for 12 months. Take back to brick and start again. The current design was very boring and did not best utilise space. 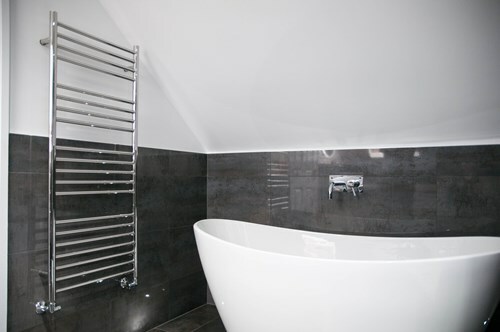 The client liked the idea of the room having a freestanding bath so we designed the room around this feature and style. 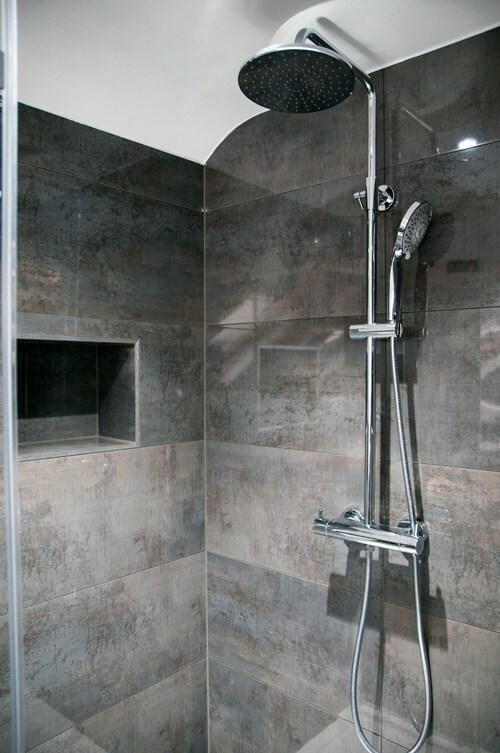 We maximised the internal space of the shower and built two substantial stud walls to create the shower enclosure. 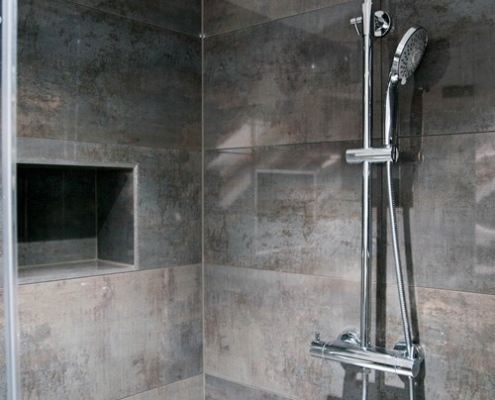 Within these stud walls we incorporated two “his and her” shower recesses. We studded out behind the WC to use a concealed Geberit system and hide pipework, building storage recesses above the WC to add another feature to the room. 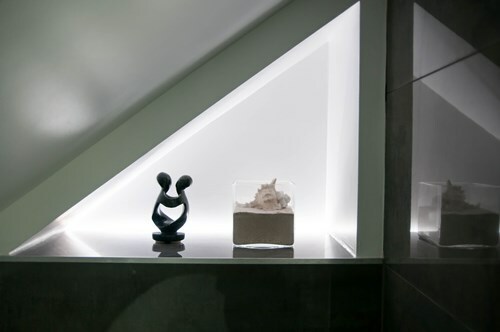 To keep the stylish look of the room we installed a suspended worktop to sit a vessel basin on top. 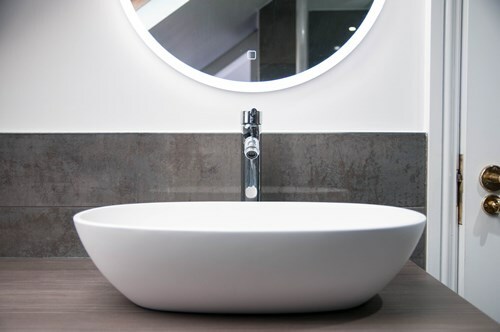 This vessel basin mirrored the shape of the freestanding bath. 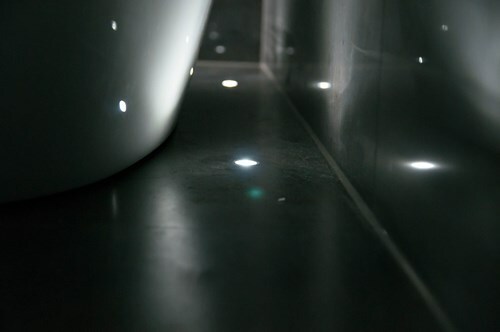 As is often the case with loft bathrooms, lighting them via spotlights can be an issue, due to limited ceiling space. Therefore the creation of recesses allowed us to brighten the room by concealing LED strip lights. 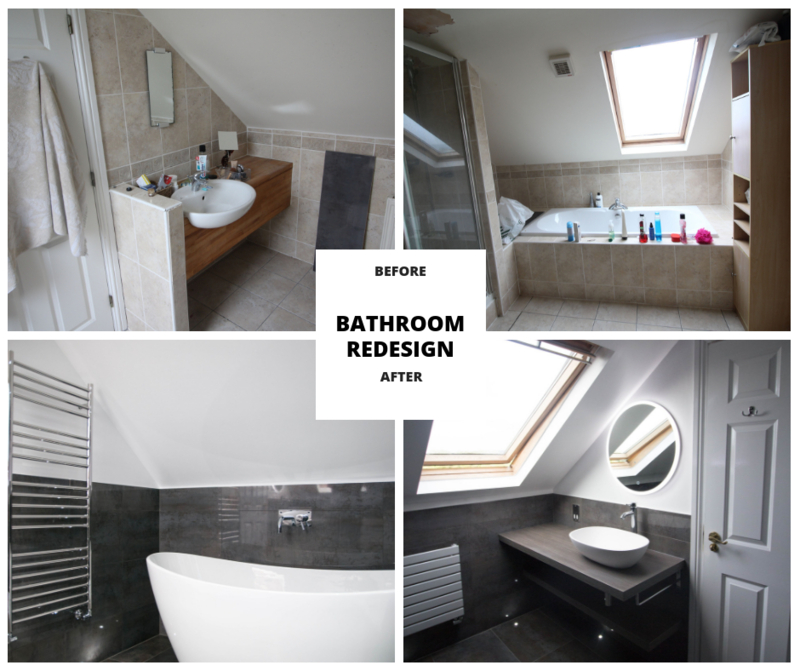 We were extremely pleased, as were the clients with the finished outcome. 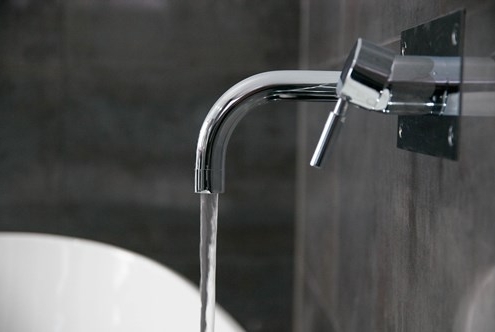 RANGE: DESIGNER BATHROOMS. PROJECT COST: £18,000 incl. Vat.